The two lateral petals are identical. They can be elongated like they are in Brassia species, strongly twisted like Paphiopedilum parishii or incredibly long like Paphiopedilum sanderianum which can reach 90cm in length. Sometimes they are small like in Oncidium species. They can be larger than the sepals. 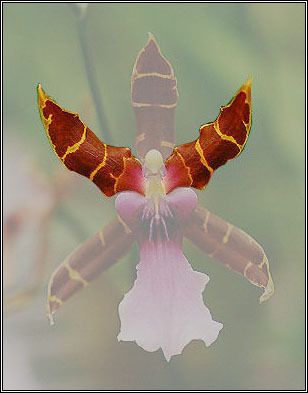 The third petal is modified and called lip or labellum.